Tasting a white wine is an experience steeped in wonder. That's why Peugeot has designed an exclusive collection where each glass enhances the vivacious aromas of the finest white wines. With pure, mineral, fruity, fine and fresh accents, white wines, dry or sweet, are wines of real character. Ephemeral and volatile, they should not be rushed at the risk of letting escape all the complexity, intensity and subtlety of their aromas. 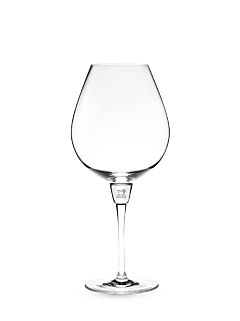 From this perspective, the Peugeot white wine glass, elegant and proud, is slimmer, sharper and narrower than red wine glasses, since it is not necessary to let the wine overly oxygenate, which could alter the nuances of the aromatic palette of the finer wines. 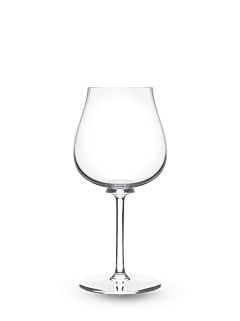 Thus designed for the concentration and preservation of the delicate and fragile bouquet of white wine, the crystalline white wine glass focuses the historical craftsmanship of Peugeot, its proclivities in terms of design and passion expressed in the search for a tasting that could become perfection. 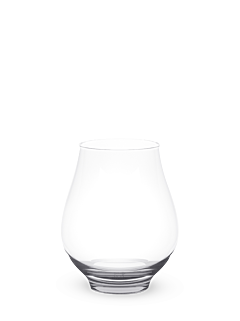 It presents itself with its transparency to highlight the purity of the multiple shades of white wines, translucent or diaphanous, from white to coppery, with reflections of gold, honey or mahogany. Elegant, sober, fine and refined, the shape of the bowl and the narrowness of the rim naturally guide the wine towards the centre of the tongue to accentuate the sensation of acidity enhanced by freshness, which is so appreciated in the finest white wines.